The Kennedy Center for the Performing Arts is a national treasure, bringing art and culture to the masses. Last night I was one of the masses that attended the National Ballet of Canada’s performance of Alice’s Adventures in Wonderland. 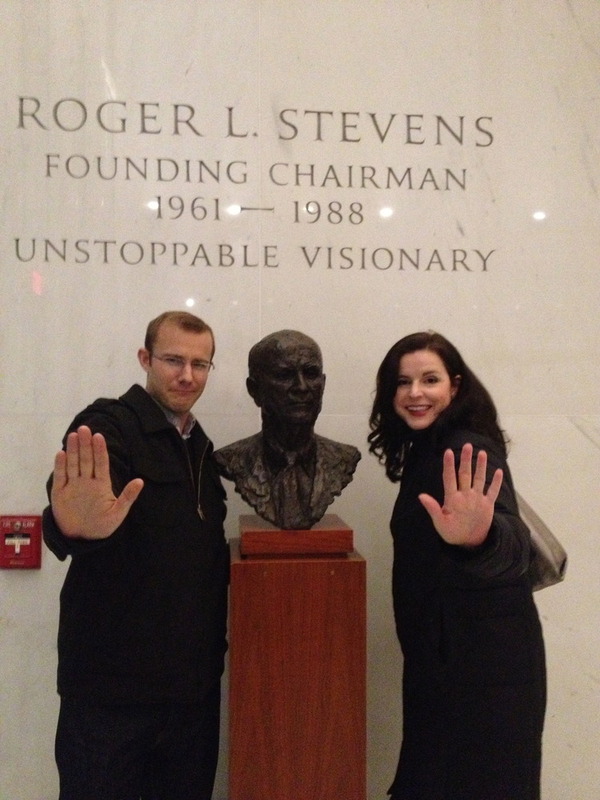 Our adventure began when Ethan and I met up at our office to carpool into the city. 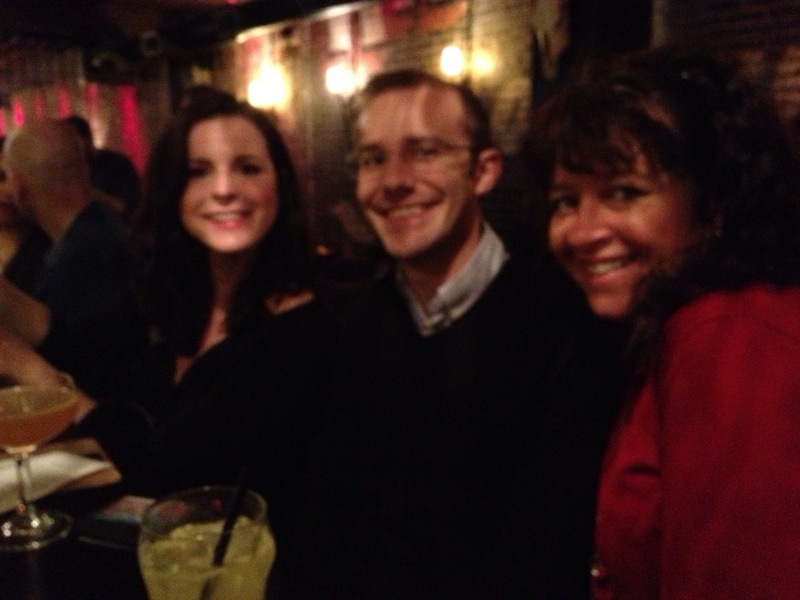 We drove to Georgetown, parked in a very reasonably priced lot and hoofed it up the hill to meet the rest of our party at Bandolero for some fancy Mexican tapas before the show. We arrived early and headed to the bar only to discover our new friend Liz had beaten us there! Thankfully she recognized me from my Facebook pictures (it pays to overpost, people!) We ordered a few drinks and soon Angel, Jason and Ned arrived and we headed over to our table. The waiter explained that the dishes were served as small plates and recommended that we each order two and share. Nobody really wanted to share their food, but we still wanted to order two. I ordered the house specialty, a blood orange margarita, suckling pig tacos (two thumbs up), and the Mahi Mahi tacos. Generally I’m a purist and only like my fish tacos when I’m somewhere near the beach in sunny southern California, but the Mahi Mahi crispy fish tacos at Bandolero might have been even better and the suckling pig was just as delicious as one might imagine when one hears the words “suckling pig”. 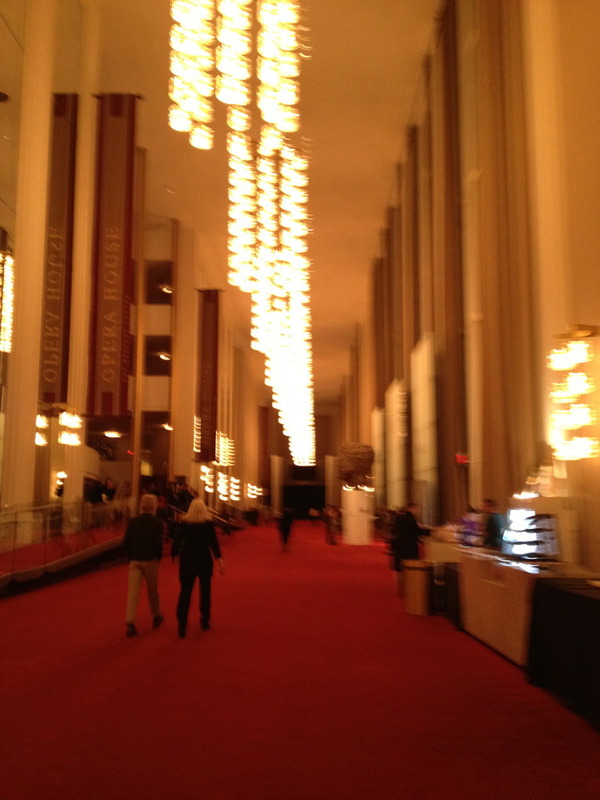 After dinner, we headed over to the Kennedy Center to see the show. The house seemed full and we got there just in time to grab our seats before the first act began. Ethan was unfamiliar with the story Alice in Wonderland, and sadly we didn’t have time to read the cliffs notes in the playbill before it began, so he had to rely on my faulty memory to fill him in on what they were doing. This was hard because it’s been a long, long time since I read the book and I had a hard time associating their twirly dance moves with specific plot points! At the end of the first act we met Angel, Liz, Jason and Ned. Angel was disappointed that the dancing was lackluster so far. We all agreed that the Knave of Hearts was adorable though. We headed back into the second act. The second act was my favorite part. I really enjoyed the Mad Hatter’s tap dancing. In fact, I thought it was the highlight of the show. Jason thought that was because it wasn’t ballet. Also, his costume of brilliantly striped pants and a hot pink jacket was fantastic. There was a creepy scene with a disembodied cat and a really hot and mostly naked caterpillar, as well. The final act featured a dance by the Queen of Hears who was resplendent in a bright red tutu and a matching wig. That was great but my favorite part was when the Mad Hatter tap danced again. 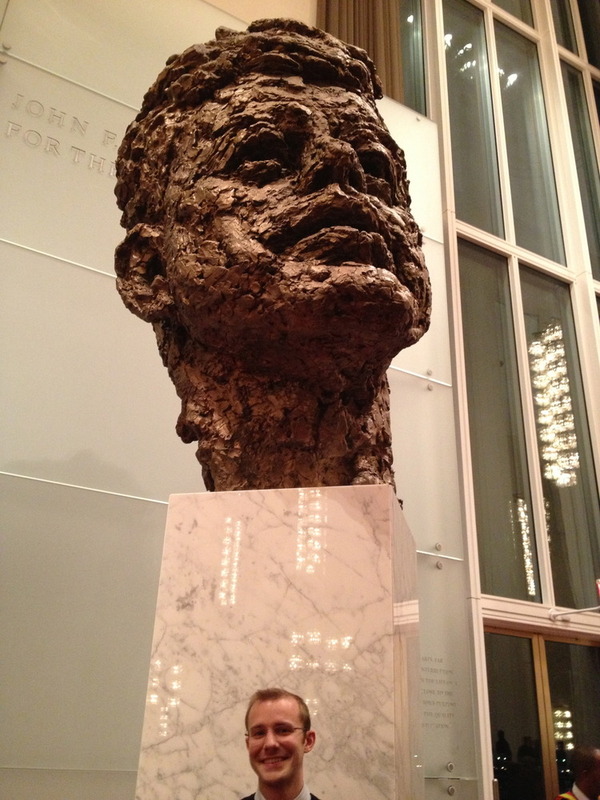 One of the greatest things about the Kennedy Center, besides it’s imposing exterior, is the giant Kennedy head. The entire place looks opulent with lots of red and crystal. If you get a chance you should go, I will definitely be going back! 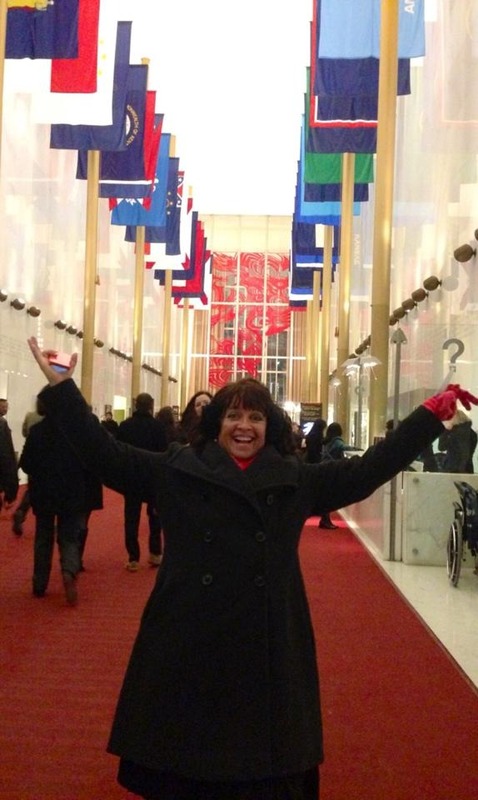 This entry was posted in Bucket List, DC Adventures and tagged Art, Ballet, Bucket List, Culture, DC, Friends, Hot Men in Tights, Kennedy Center. Bookmark the permalink.